From where I live in Portugal, Morocco is incredibly close. It takes just a few hours to get to the port of Algeciras in Southern Spain, and from there it's an hour and fifteen minutes on the ferry before you're in north Africa. We spent a couple of weeks driving around the country, from the Rif mountains in the north all the way across the Atlas to the beginning of the Sahara desert in the south. It's an incredibly diverse country and despite being so close to Europe, it has a radically different culture that all you can do is immerse yourself in the moment that you leave the motorway Morocco in all it’s colourful glory hits you right between the eyes;. the streets are full of people in colourfully dressed robes, market stalls throng with trade, the air is heady with the smell of spices and donkeys, and everything seems chaotic. The cities are all of this multiplied by a thousand. 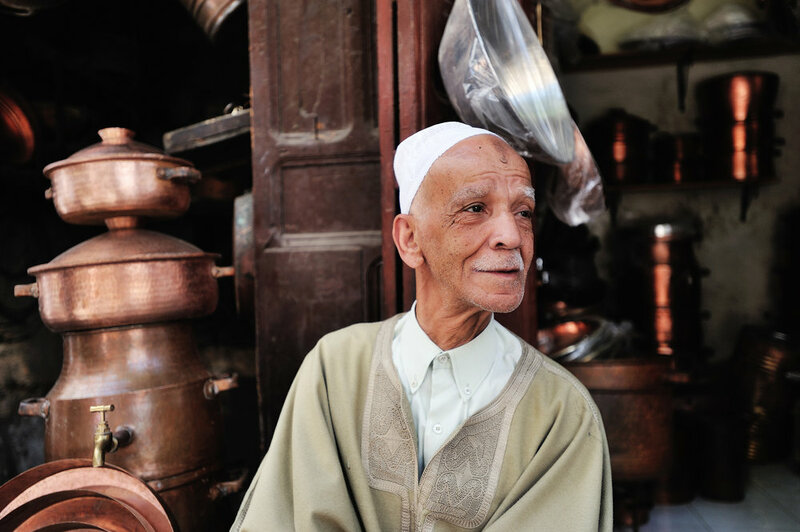 There’s a concentration of life in a Moroccan medina that’s unlike anything else I’ve ever seen. The mixture of smells, the noises, from the street hawkers to the calls to prayer of the muezzin, the twisting streets that suddenly go from narrow unpopulated alleys where you can’t see the sky, to thronging squares where it seems like the whole world is trying to push past. A panning shot as a man walks through the blue town of Chefchaouen. 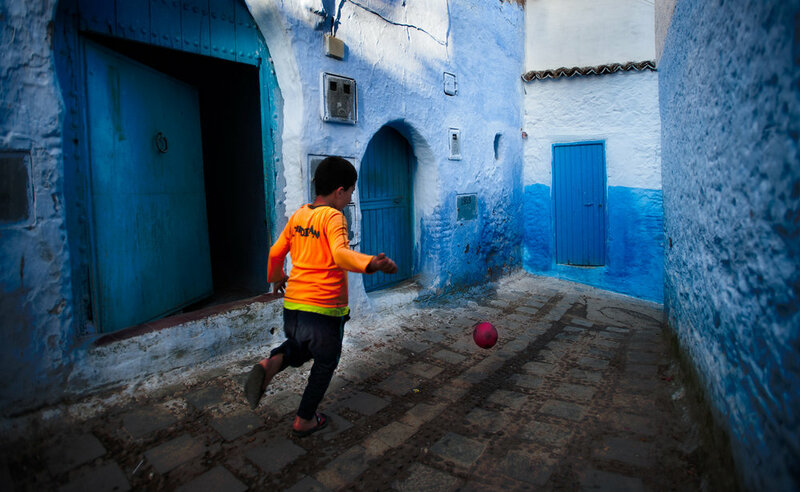 A boy runs down the street chasing his football in the blue town of Chefchaouen in Morocco’s Rif mountains. A black and white study of the dune shapes in a sandstorm in the Sahara. A sand storm at dawn in the Sahara desert, Morocco. 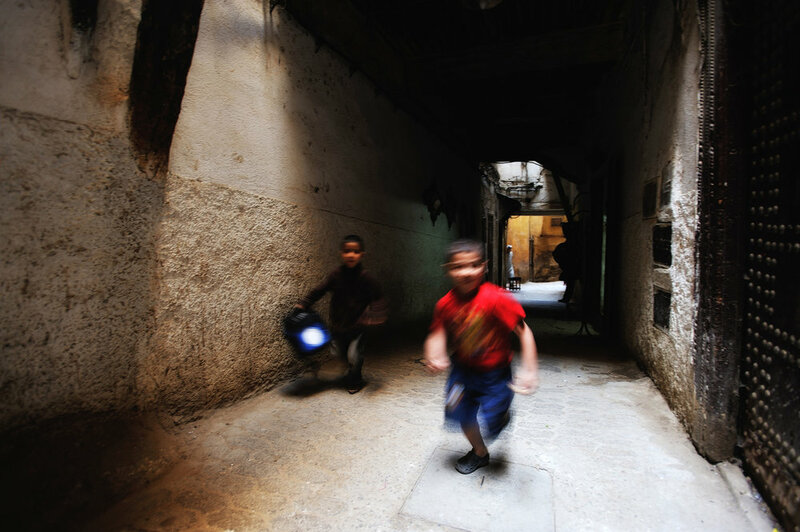 Two boys run through Fes Medina.